Name just about any of London’s most successful men’s designers who’ve risen in the past decade and you’re more than likely to end up with a MAN alum. Kim Jones, JW Anderson, Christopher Shannon, Astrid Andersen, Craig Green… The fashion showcase has been the go-to platform for emerging design talent for ten years now, providing recipients with financial and ongoing business support along with the catwalk outing and invaluable exposure they come with. MAN celebrates its Big-1-0 this season, and if the brilliantly garish birthday balloons in the Topman space entrance didn’t have you aware of that fact then the MAN Turns 10 short film that preceded the actual collections did. A look back at all the program has achieved and the more animated moments that have marked it: Craig Green’s wooden headpieces, anyone? 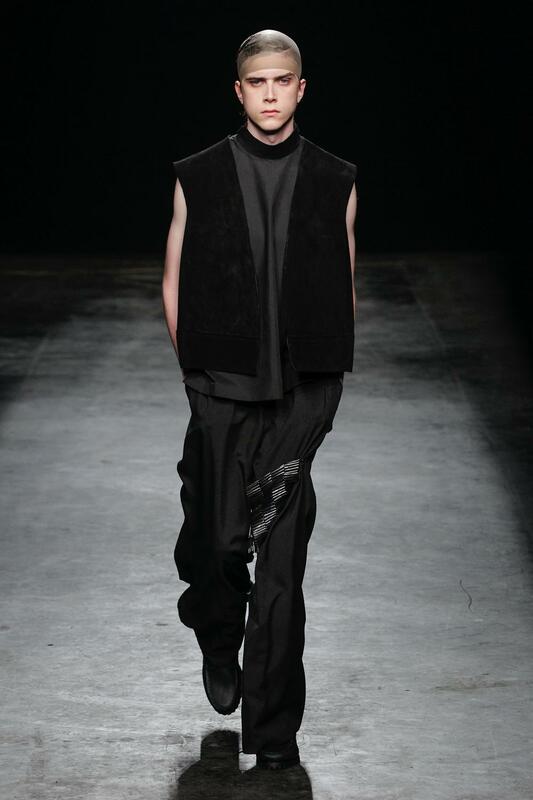 Bobby Abley’s violent metalwork and off kilter Disney prints? More than anything, it was a reminder of the creativity that ultimately underpins all that commercial stuff, the potentiality of the imagination that is the reason why we get all juiced up about fashion in the first place. 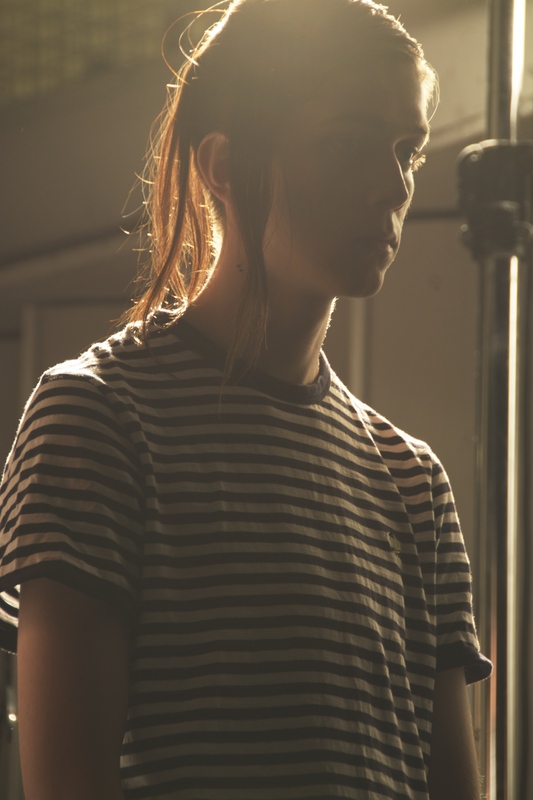 Rory Parnell-Mooney was one of just two designers this season to show as part of MAN (Liam Hodges the other), and it was a stark vision inspired by the dichotomy of the revealed and the hidden that shaped his dark output. Geometric shapes, long silhouettes, tunics and knit layering were offset by finely pleated panels, garter like tied around thighs or as collars around necks, while yellow daubs on white broke up an ominous palette. 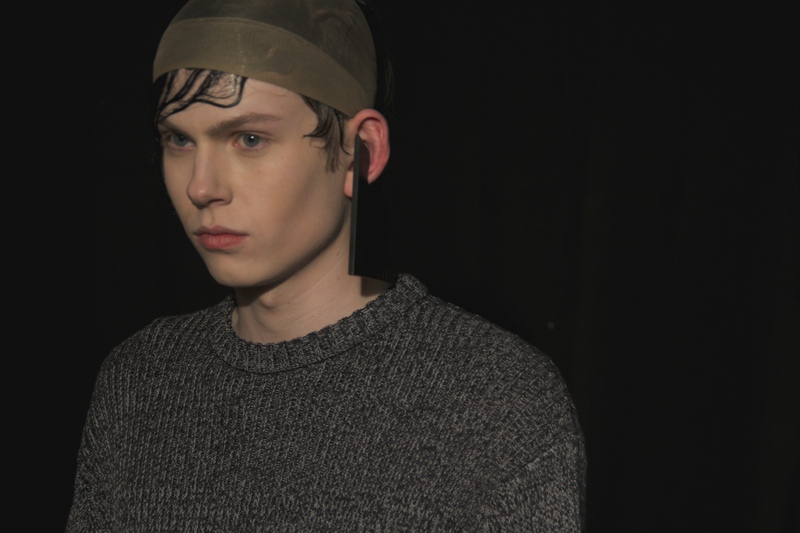 The Irish-born Parnell-Mooney graduated from Central Saint Martins last year, his first MAN outing last season stepping him up to the enviable position of having FW15 stocked exclusively in Dover Street Market London and New York. Nothing like pressure to sharpen an offering, and Parnell-Mooney’s slick goth boys performed.